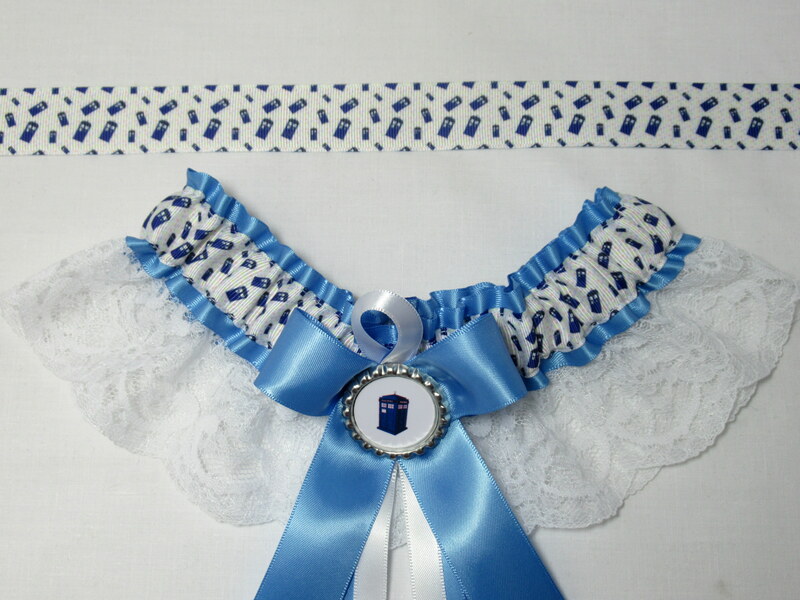 Cornflower blue satin with doctor who tardis printed ribbon and white lace skirt. 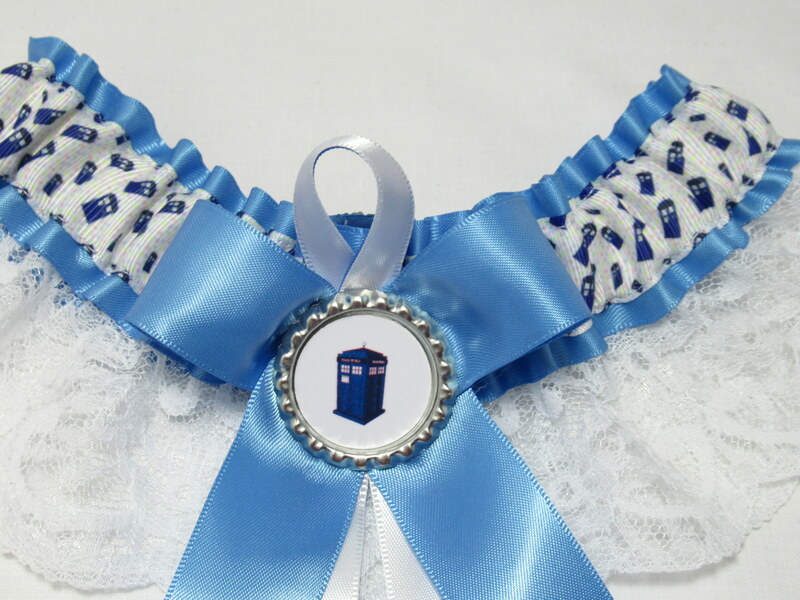 Cornflower blue bow and stin ribbon bows in crnflowr blue and white with silver crown/glass top with tardis inside. 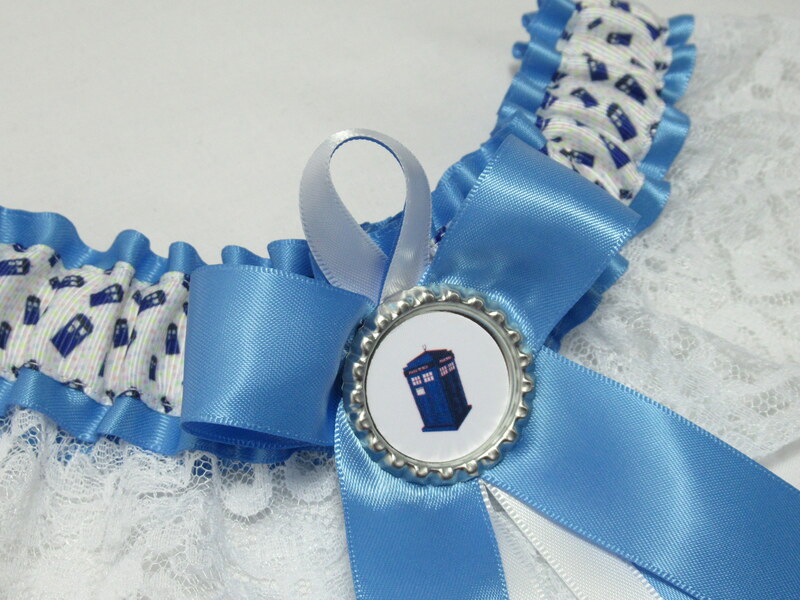 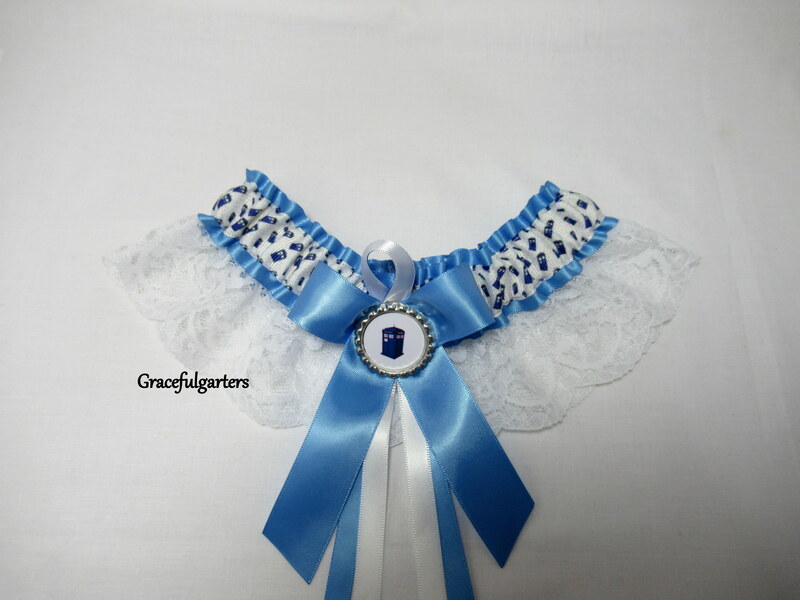 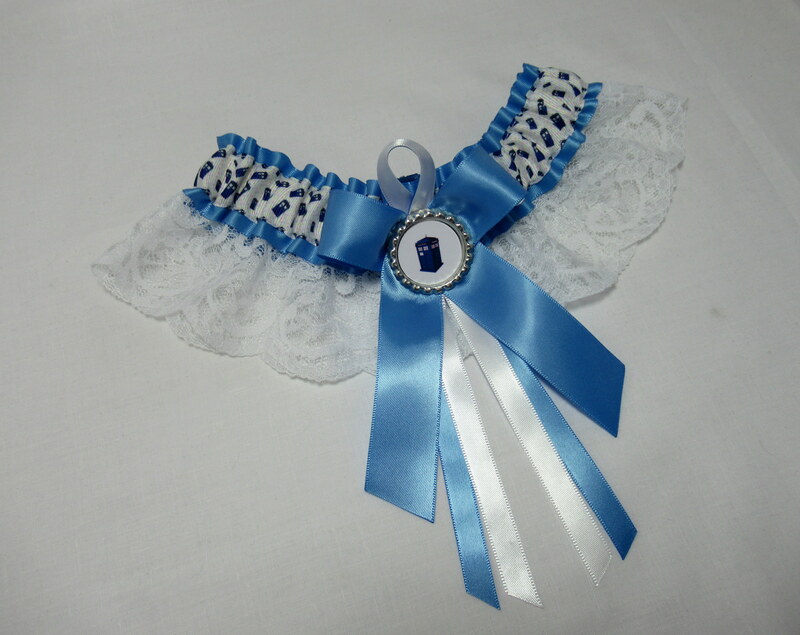 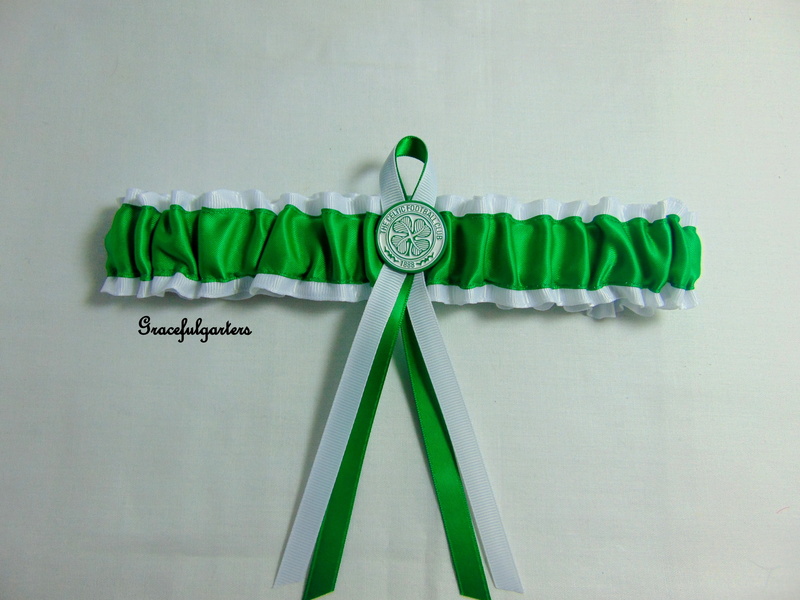 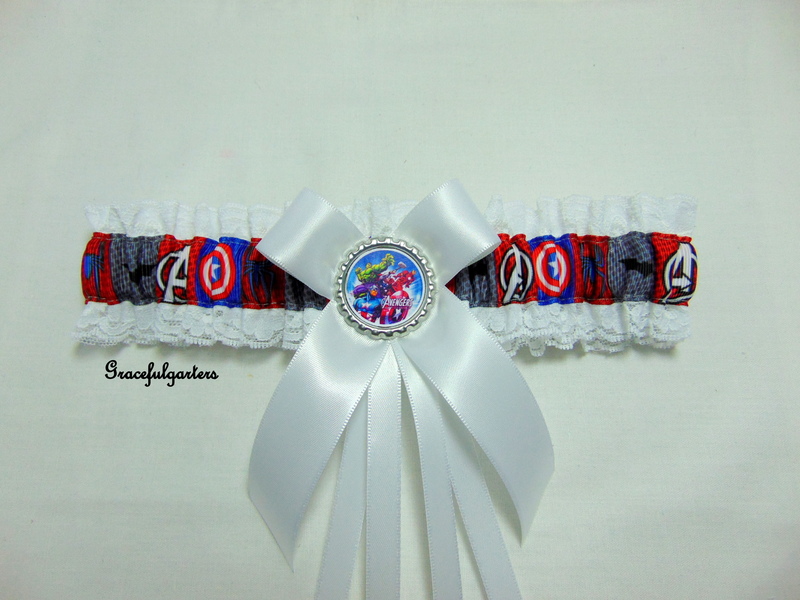 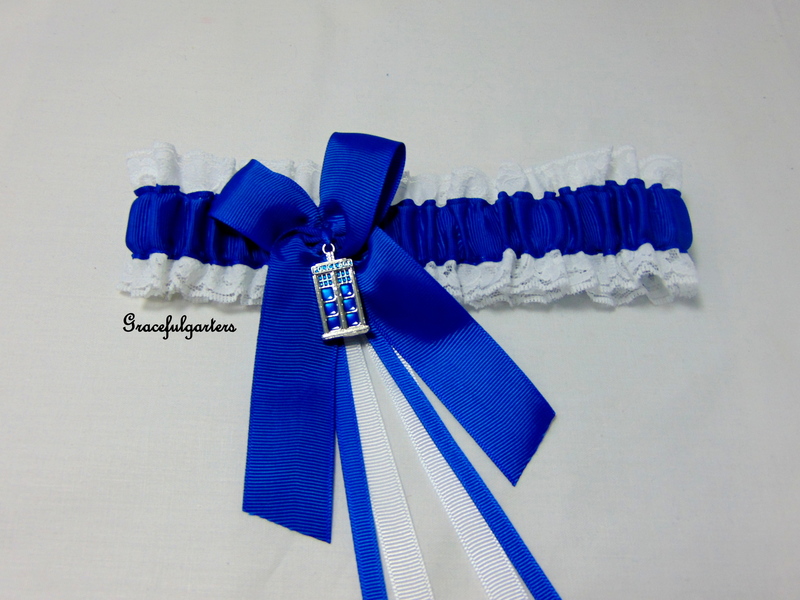 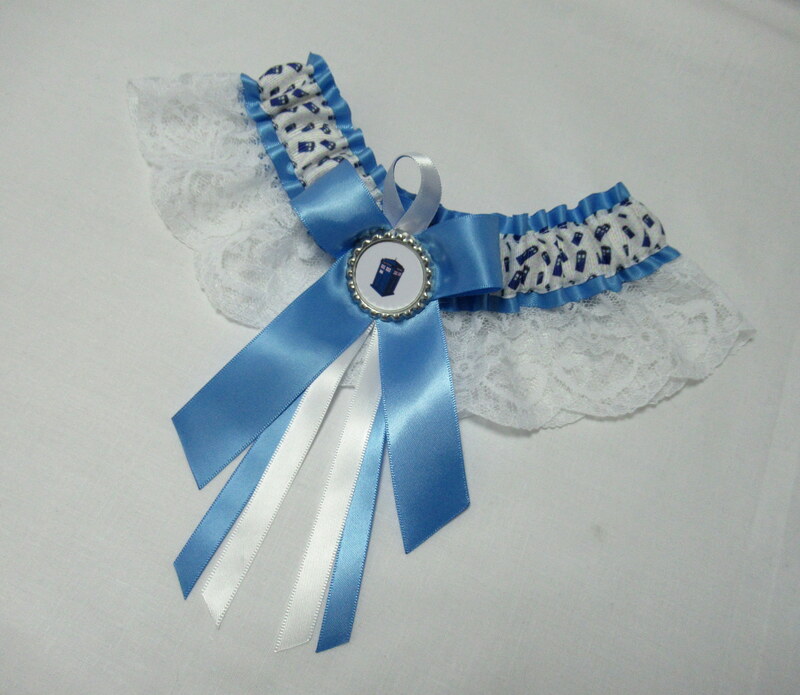 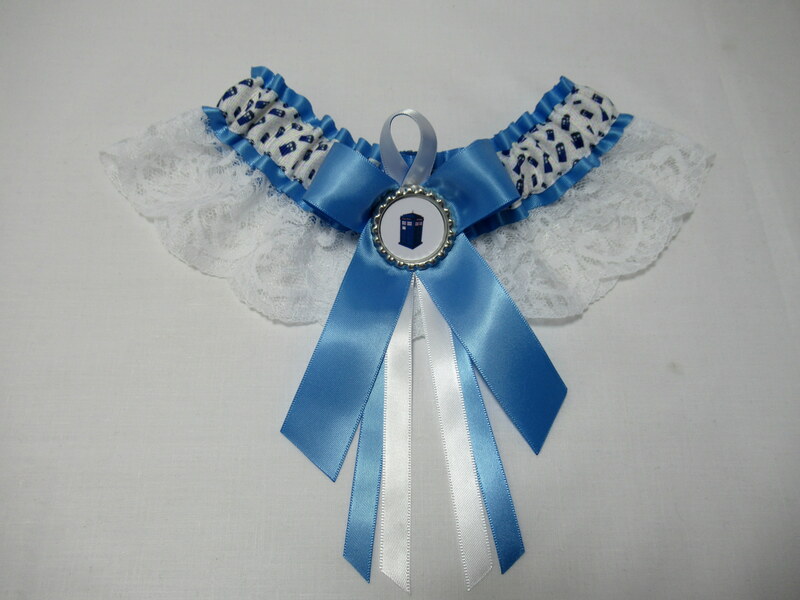 This is an exquisite handmade bridal wedding garter which is fashioned with Cornflower blue satin with doctor who tardis printed ribbon and white lace skirt. 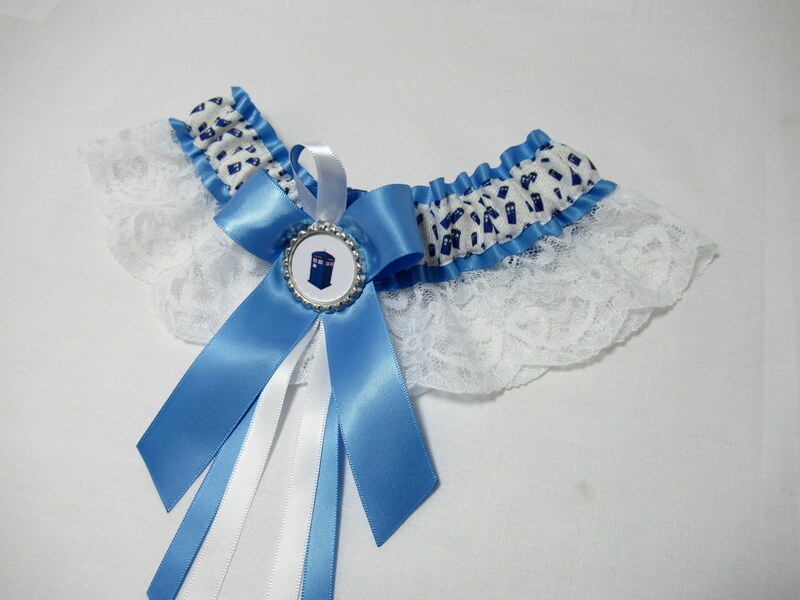 Cornflower blue bow and stin ribbon bows in crnflowr blue and white with silver crown/glass top with tardis inside. 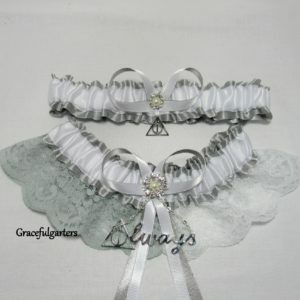 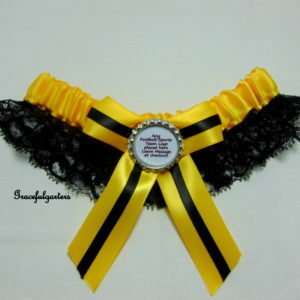 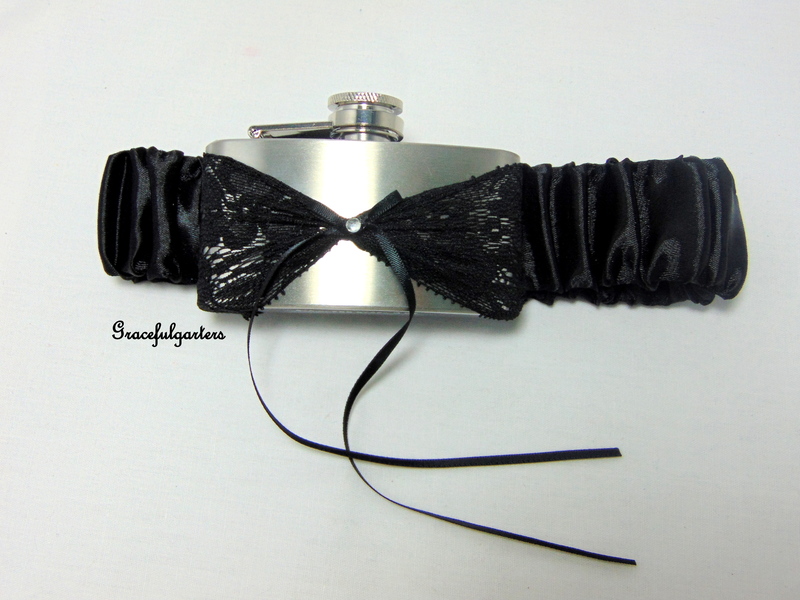 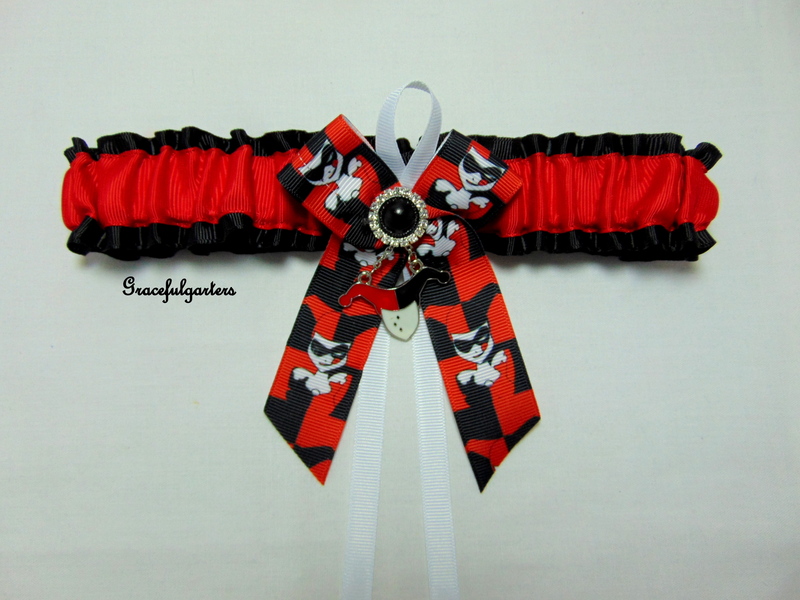 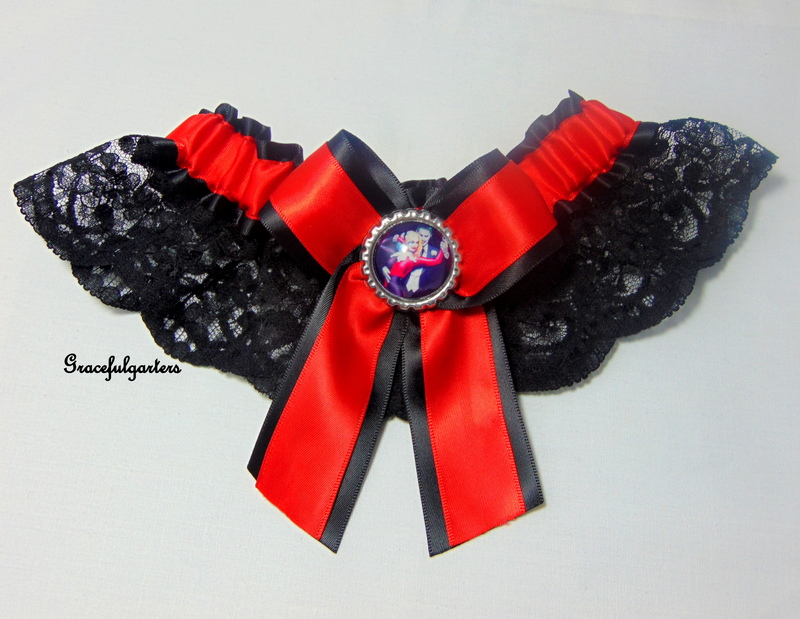 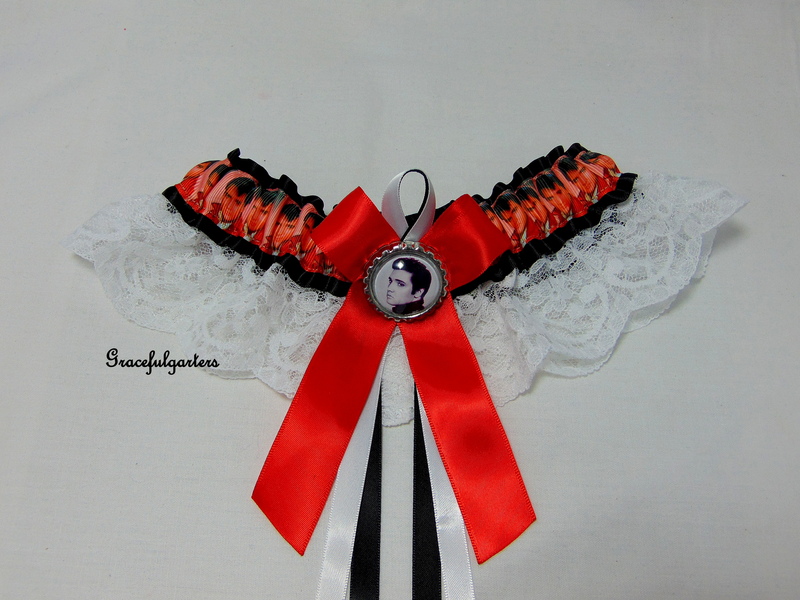 Really Lovely Garter and lovely satin and lace. 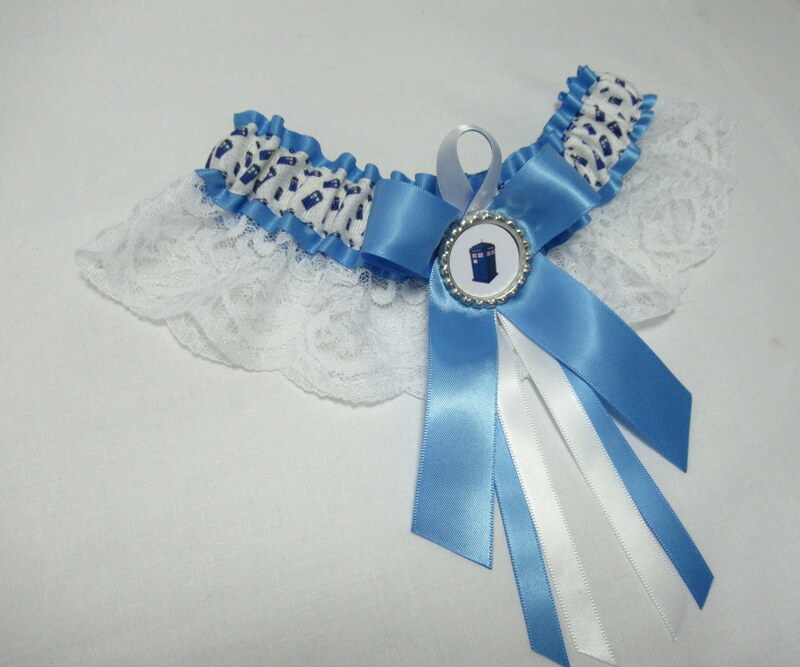 Recommended seller.